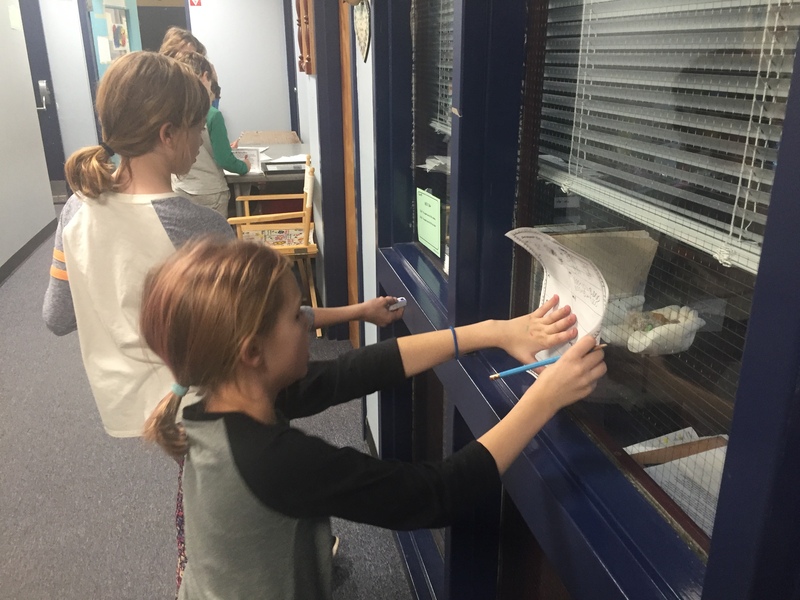 Students continue to work on their Community Service Learning project. 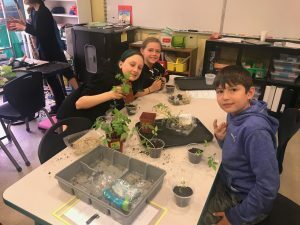 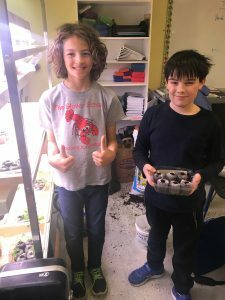 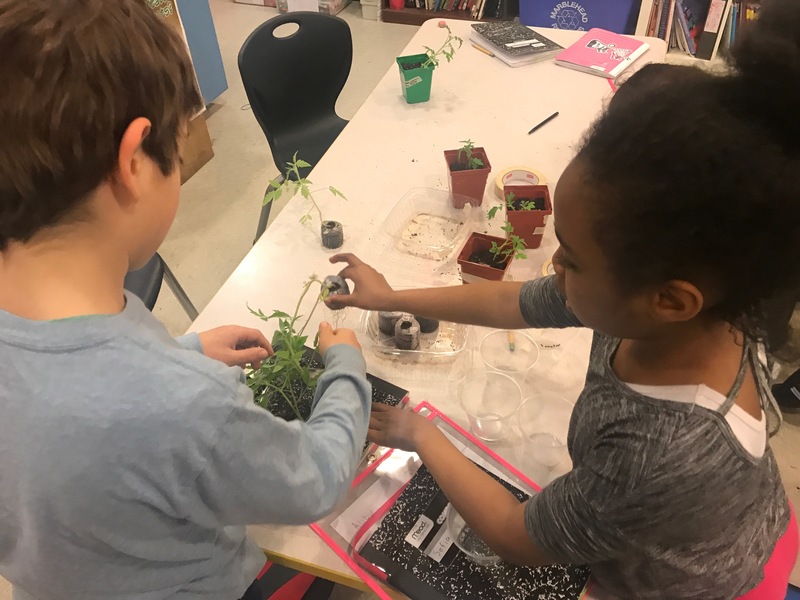 They have started seedlings and have planned succession plantings in order to be ready to set plants in the Charter vegetable garden as soon as the warm weather is ready for them. 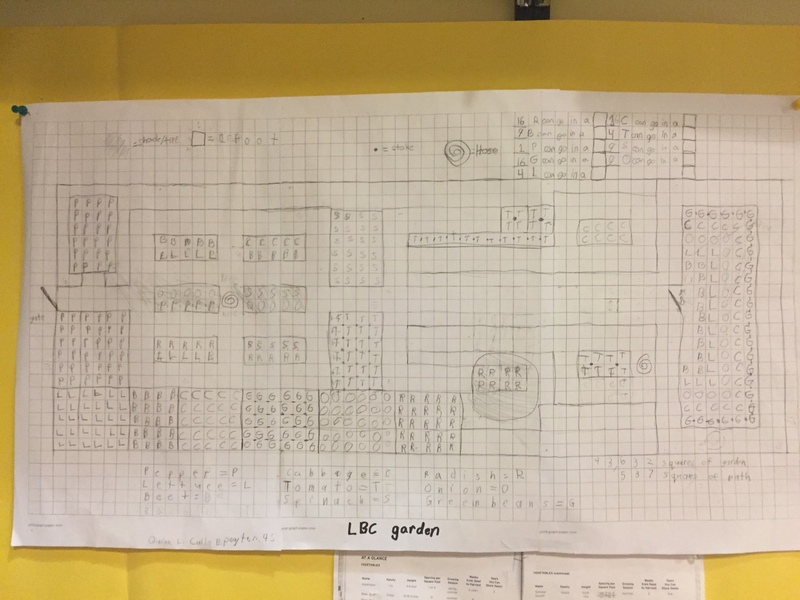 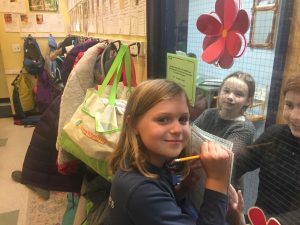 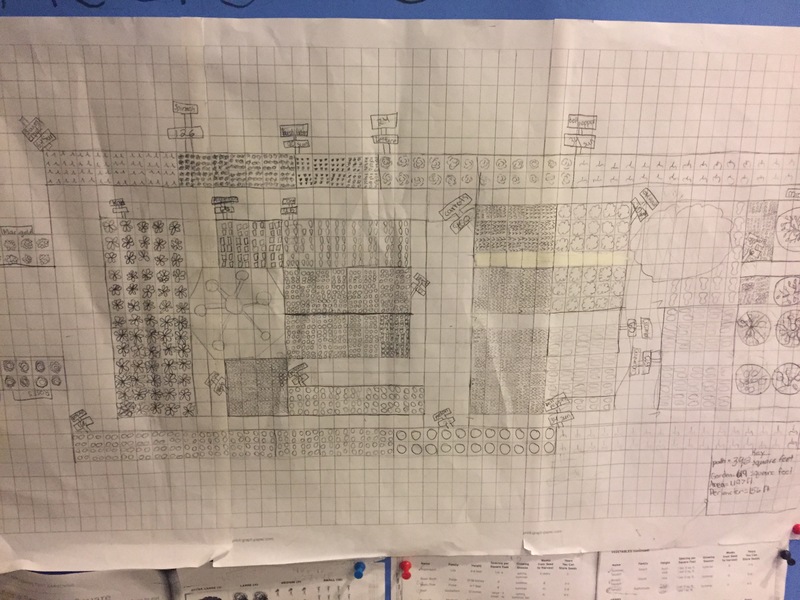 They have measured and drawn their ideas for a map of where the plants will go in order to take advantage of the sun and water needs of each type of plant. 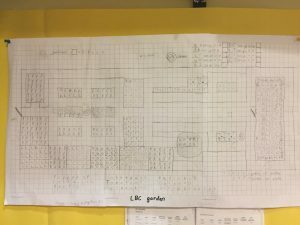 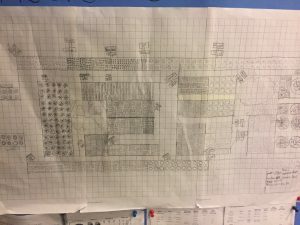 Check out our progress! How Do Pyramids Get Built? 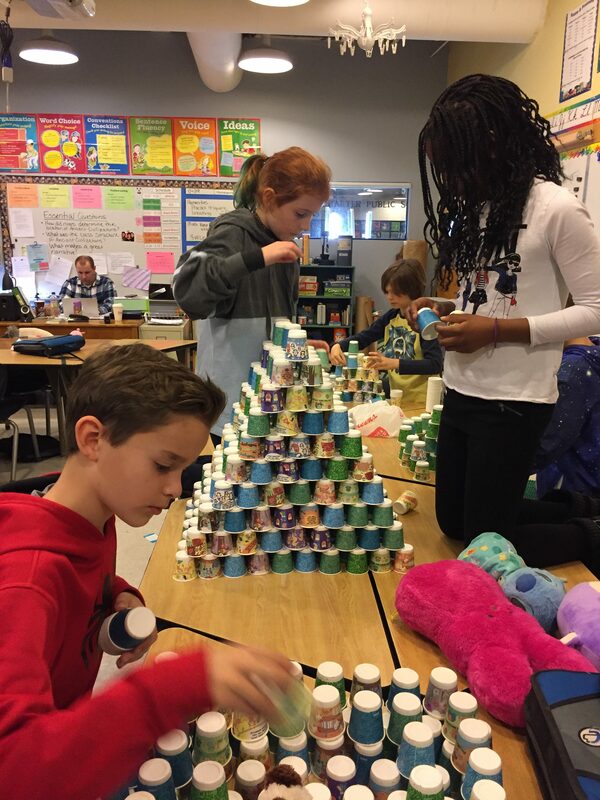 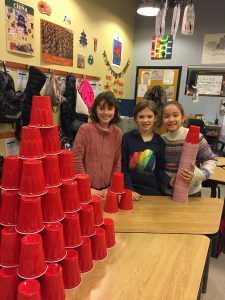 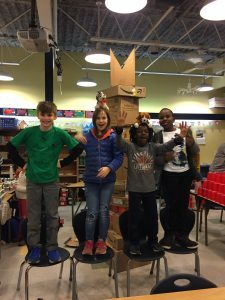 4th grade students built pyramids from various materials to demonstrate how groups might have collaborated to build the great pyramids of Ancient Egypt. 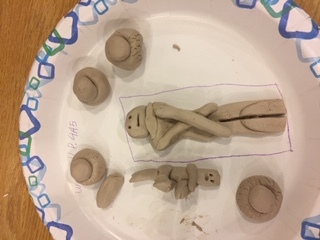 Keep an eye out for their finished sarcophagi once they have finished the unit. They were a lot of work! 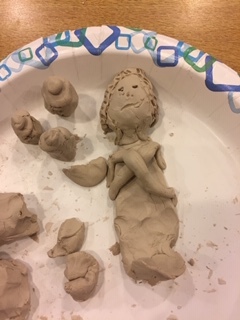 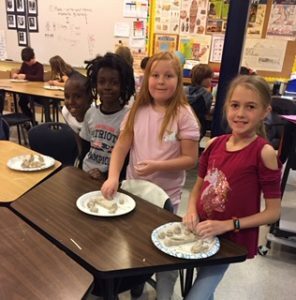 4th graders created their own mummies with clay and “preserved” them as the Ancient Egyptians would have. 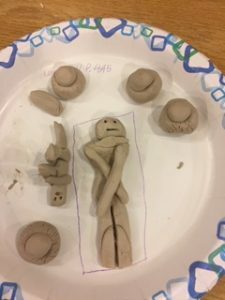 They will eventually wrap and build a sarcophagus as part of their learning. 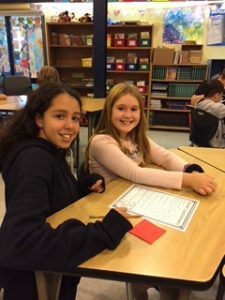 How does the water cycle impact the environment? 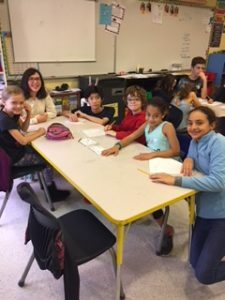 How does energy from the sun affect the weather? 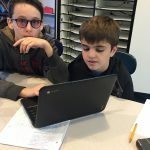 How does heat energy (temperature) change the state of a liquid/solid/gas? 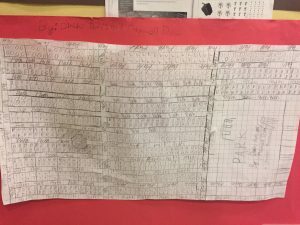 How do you measure and describe weather? 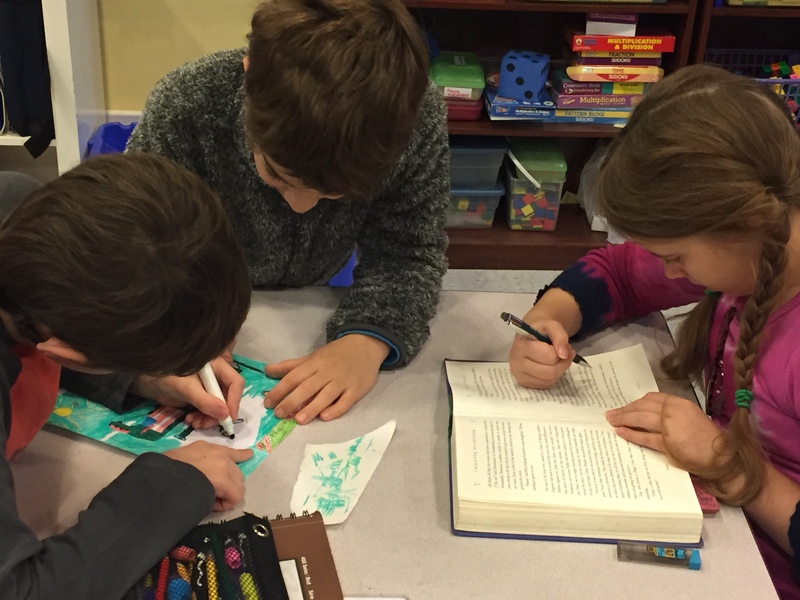 4th graders are busy helping to prepare the artwork that appears in the yearbook at the end of the year. 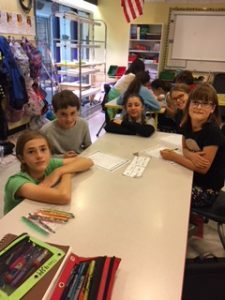 Groups of students are collaborating on their designs-they are so motivated they want to work on it at recess times and before school! 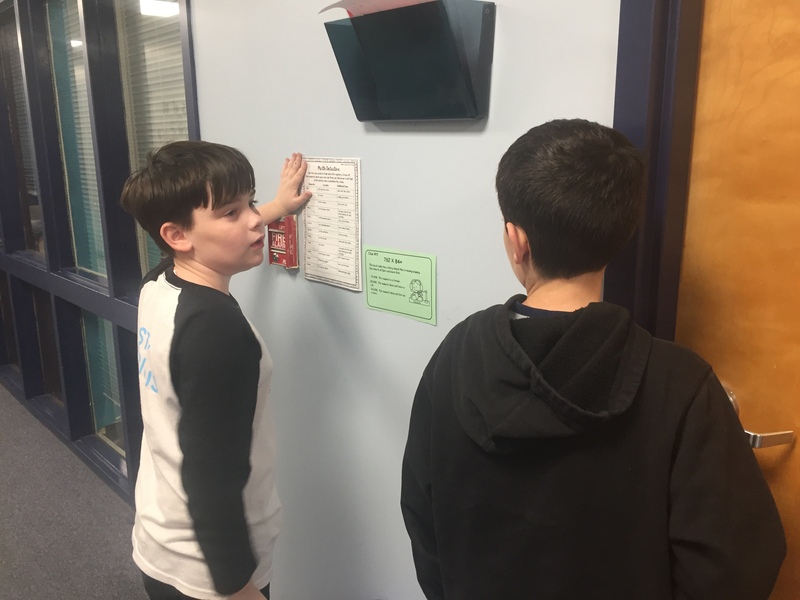 4th Graders participated in a “Math Mystery” problem solving exercise posted around the 4th grade wing. 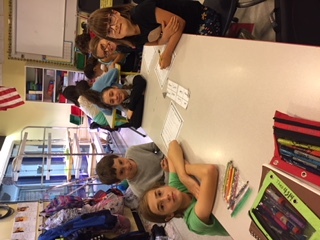 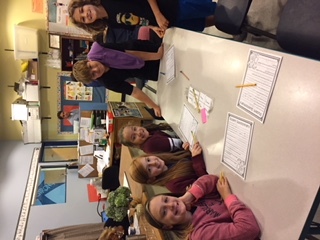 In order to solve the mystery they had to use their math skills at solving double digit multiplication (and sometimes three digits by two digits) to determine the clue that would help them eliminate suspects to find the culprit. 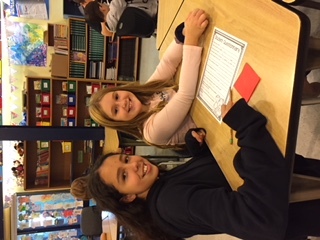 Stay tuned for next week’s problem solving project-planning how much food they need to bring on a mission to Mars! 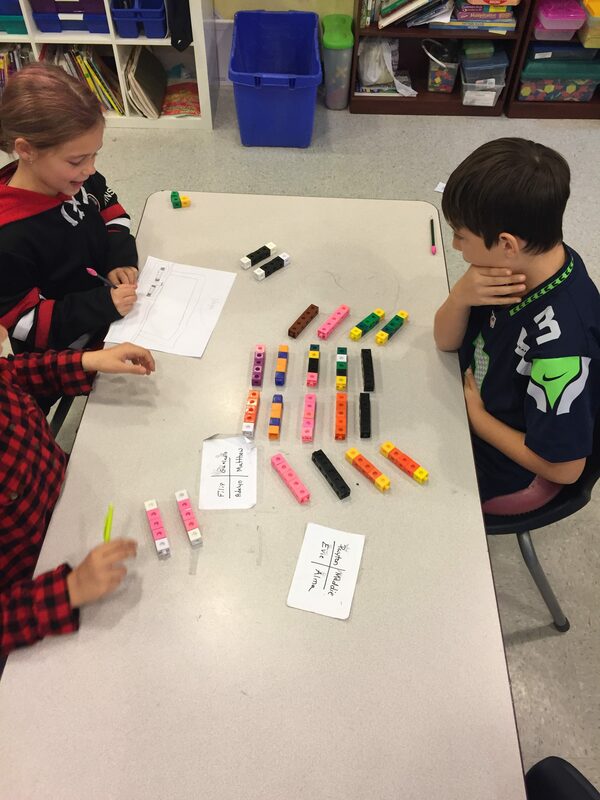 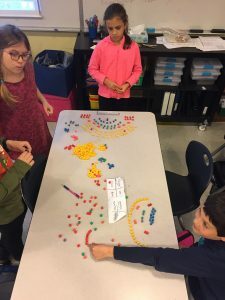 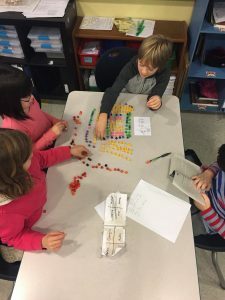 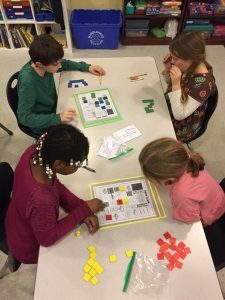 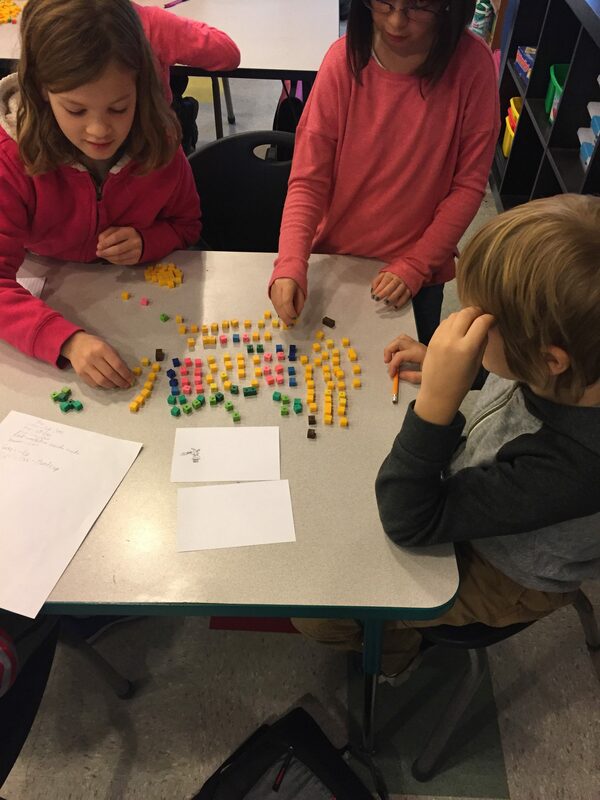 Students used manipulatives to lay out a project where they create their own seating diagrams and write multi-step math word problems for parents to solve. 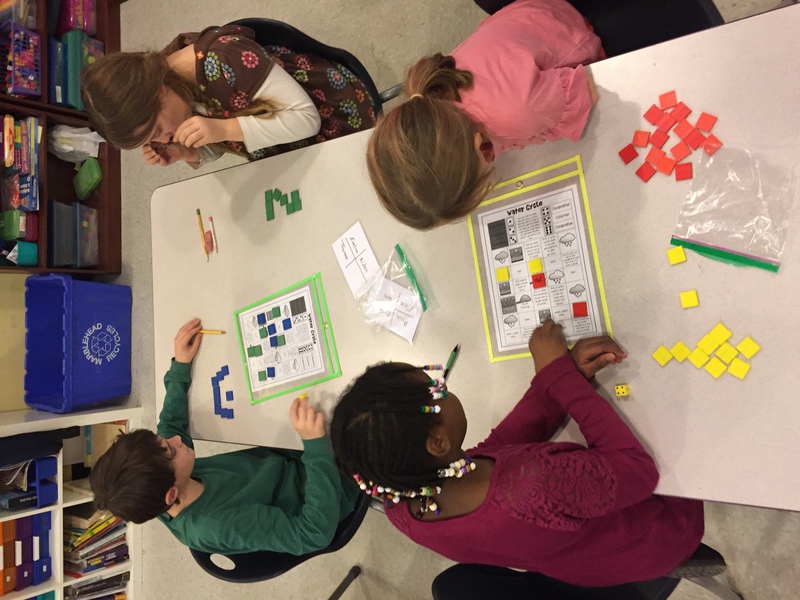 We hope your math skills are prepared for exhibition! 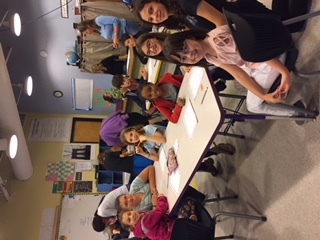 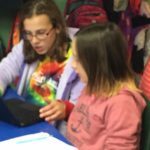 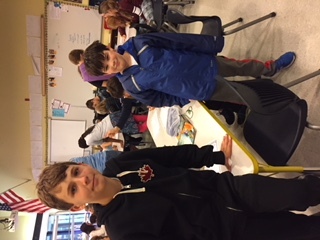 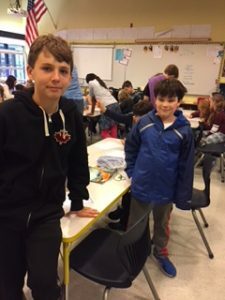 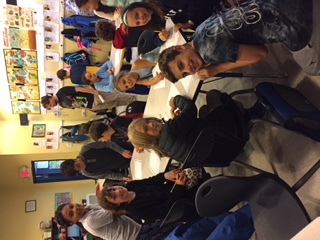 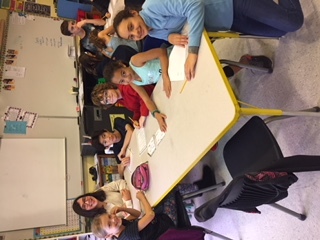 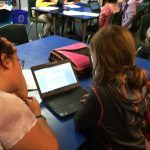 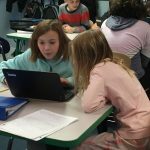 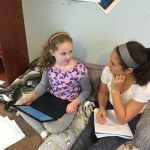 In pursuing the 7th grade Service Learning goals, 7th graders met with their 4th grade mentees to help them with their Animal Report projects by doing peer editing. 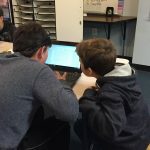 Students worked well together and mentors had inspiring ideas to share with their mentees to make their reports even more informative and polished for their final drafts. 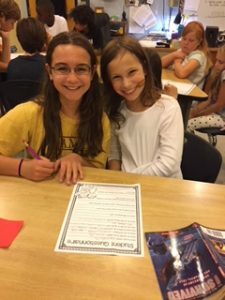 Fourth graders met their 7th Grade Mentors on Friday. 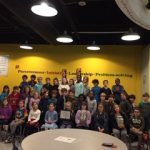 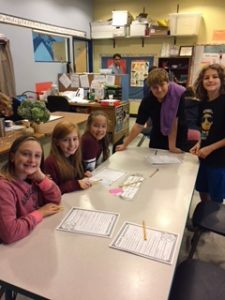 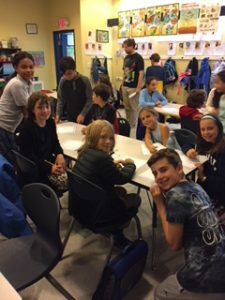 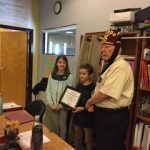 We are looking forward to the Service Learning experience between the grades where 7th graders will become peer tutors for the 4th graders. 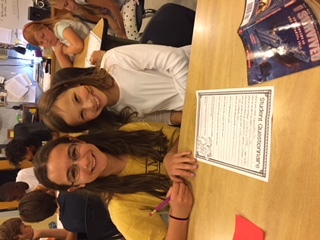 In the past 7th grade have been excellent at doing peer editing with 4th graders while learning to write quality paragraphs and perfect their Animal Reports. 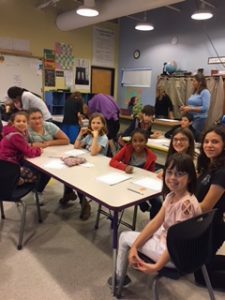 Students are very excited to work this year with such wonderful guides!